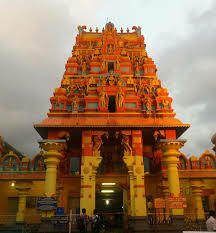 SHRI KSHETRA KUKKE SUBRAMANYA -Agrahara somnath temple g, SHRI KSHETRA KUKKE SUBRAMANYA -Agrahara somnath temple - Shiva Maha Purana, Vishnu Purana, garuda purana, bhavishya purana, skanda purana. This is also called Panchami teertha. This is just a mile away from the temple on the way to kumardhara. On the 15th day of margarine H.H Sri Varahteerth of Sri. Subrahmanyam matt passed away and was entombed by the side of this river. So it is the custom of the Swamiji of the matt to take bath here and worship.